Faheem Rashad Najm (born September 30, 1985), better known by his stage name T-Pain, is an American rapper, singer, songwriter and record producer from Tallahassee, Florida. His debut album, Rappa Ternt Sanga, was released in 2005. In 2007, T-Pain released his second album Epiphany, which reached number one on the US Billboard 200 chart. His third album, Thr33 Ringz, was released in 2008. 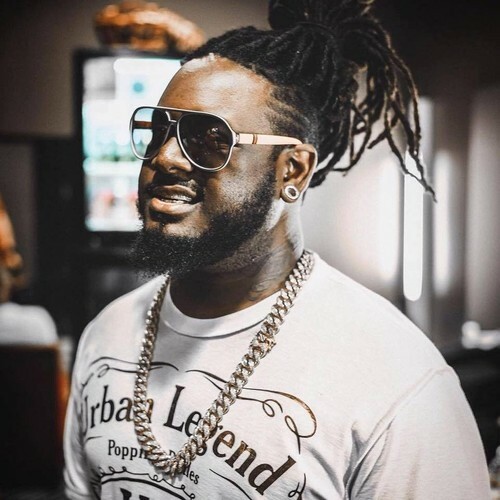 T-Pain has also released a string of hit singles, including "I'm Sprung", "I'm 'n Luv (Wit a Stripper)", "Buy U a Drank (Shawty Snappin')", "Bartender", "Can't Believe It", "5 O'Clock" and more. T-Pain has earned two Grammy Awards, alongside artists Kanye West and Jamie Foxx respectively.